If you have kids, you probably have mixed emotions about them getting their driver’s license. Jubilation because they can run to the grocery store for you, get themselves to sports practice without you having to leave work early, etc. But it can also be a terrifying time and with good reason. 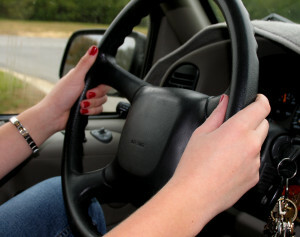 Motor vehicle crashes are the leading cause of death for teens. Recently, Mercury Insurance released a list of 2016 model year vehicles that had both good safety ratings and were inexpensive to insure. Based on these criteria, the winners were: Subaru Outback, Kia Sportage, Dodge Dart, Kia Soul, Honda HR-V EX, Hyundai Tuscon, Honda Fit , Honda CR-V LX, Hyundai Elantra GT, VW Golf Sportwagen SW. I know. I can hear some of you already: “There is no way I am buying my teenager a brand new car”. I get it. Our two older kids did not get new cars either. The good news is you can do this same type of comparison yourself for used cars. Independently conducted safety ratings are offered by both the National Highway Traffic Safety Administration (NHTSA) and the IIHS, and both are highly respected within the field. NHTSA rates cars on a star rating system. If you are buying a used car for your teen, then look for vehicles with a 5 star crash rating as they will offer the best crash protection for your teen. With the IIHS ratings, cars are ranked as good, acceptable, marginal or poor. We encourage you to look for vehicles that receive an IIHS Top Safety Pick award. As part of this research, we also urge you to use the NHTSA website to determine whether there are any safety recalls or technical safety bulletins related to the car you are considering buying. Once you have some vehicles in mind, schedule a call or meeting with your insurance agent and ask for quotes on insuring the vehicles you are considering. Please, please, please be sure to ask for underinsured/uninsured motorist coverage. This coverage will protect you and your teen in the event they get in an accident with someone who does not have insurance or does not have enough insurance. And if you think that is not a big problem, consider this statistic: More than 20% of the drivers in our State do not have any insurance at all. We are 6th in that nation for this problem. Uninsured motorist insurance will compensate you and your teen if you are injured in a car accident with an uninsured driver. The cost of this type of insurance is minimal but the protection it provides is substantial.